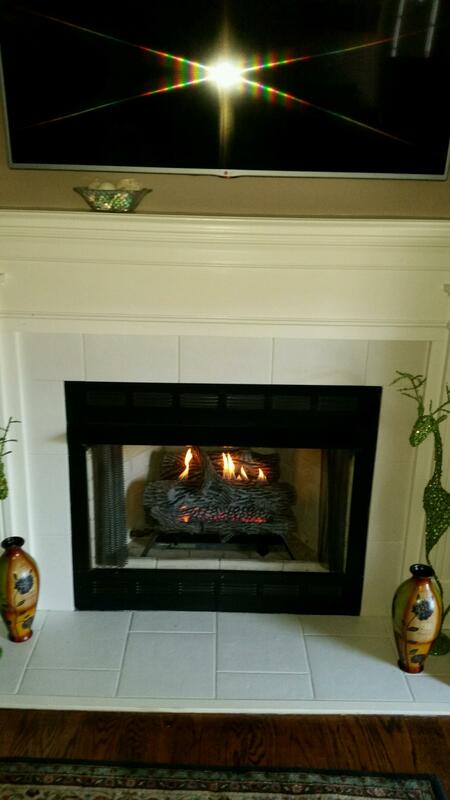 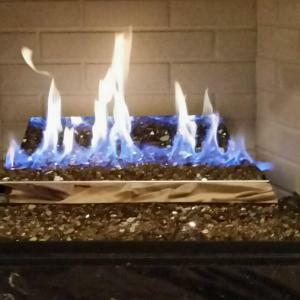 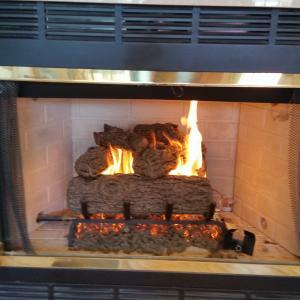 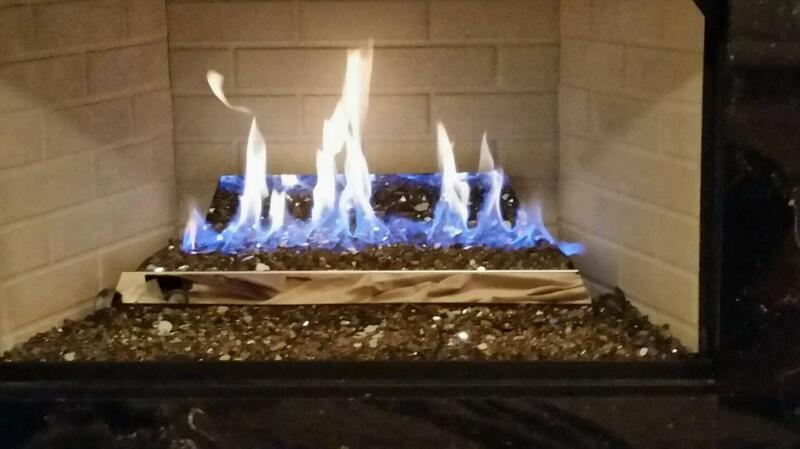 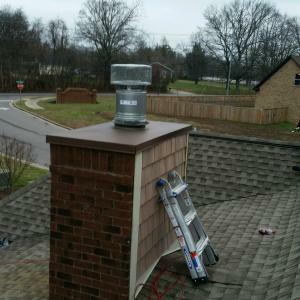 At NFC we are proud to showcase our chimney sweep technician's extiguished work. 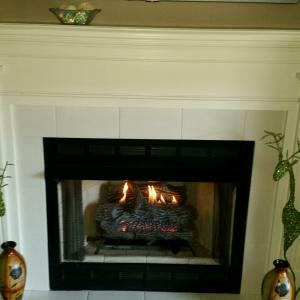 Please take a moment to look at our photo gallery. 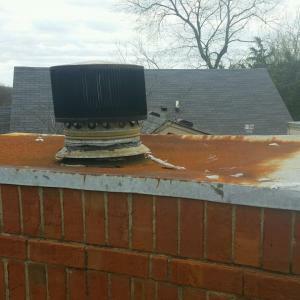 Before picture of a customer's and damaged chase cover. 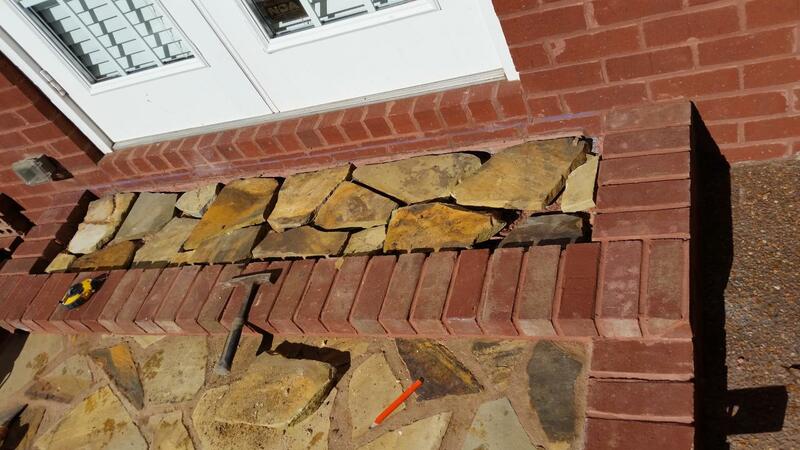 After picture of the new chase cover installation. 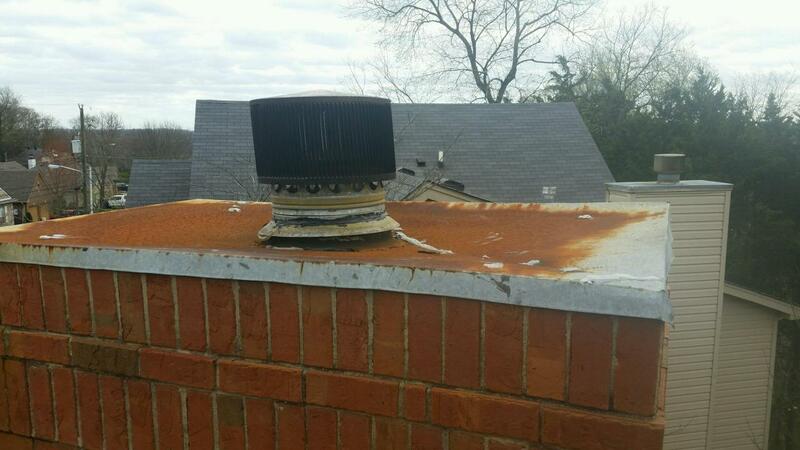 This customer was experiencing a water leak from the rusted & deteriorating chase pan. 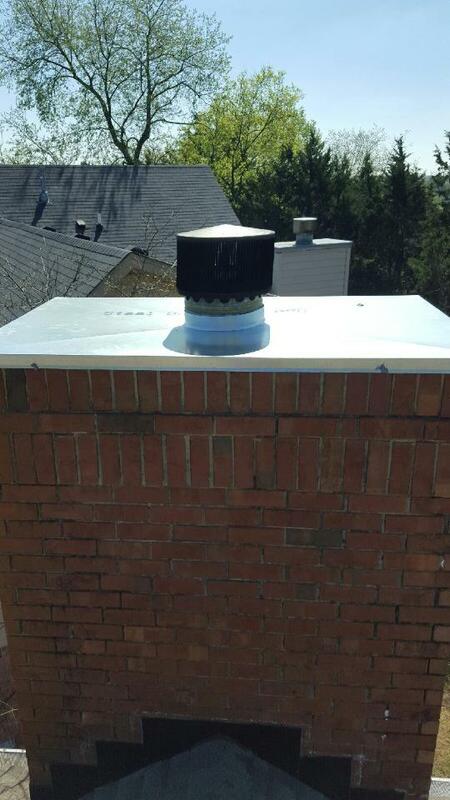 We were able to stop the leak by blueprinting, fabricating and installing a brand new chase cover for the customer. 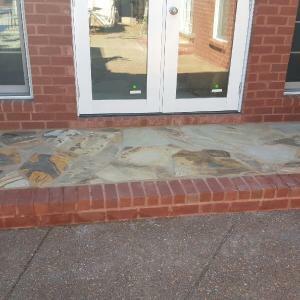 This customer wanted a unique rock landing pad added to the patio. 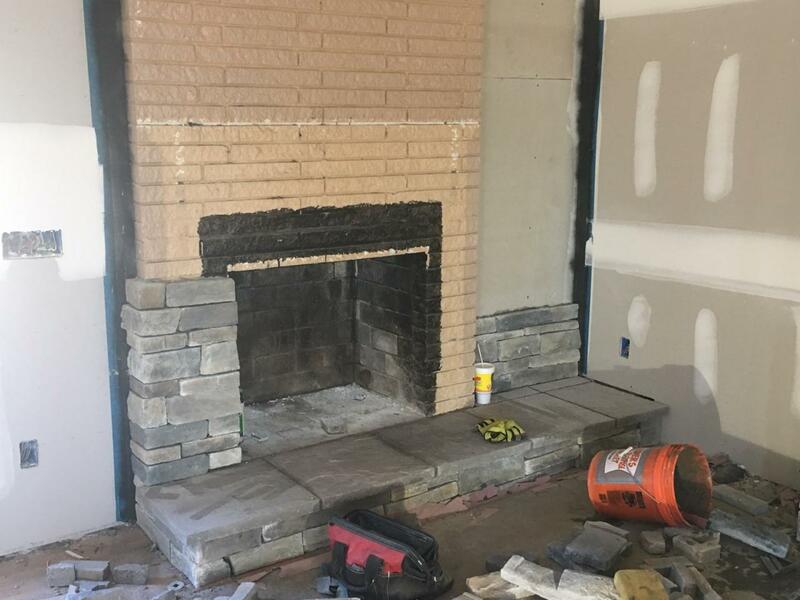 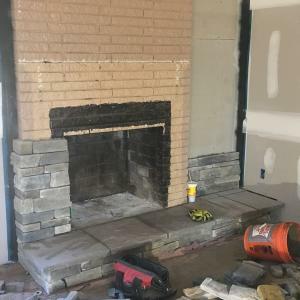 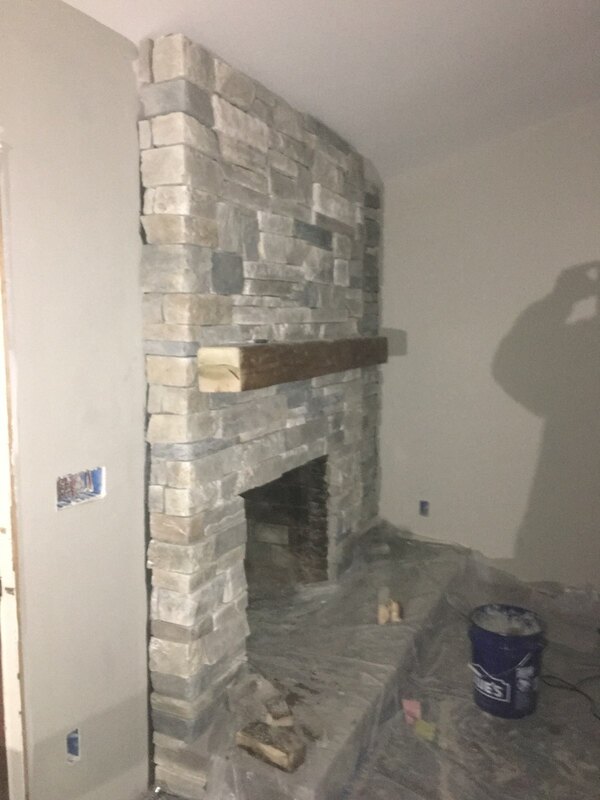 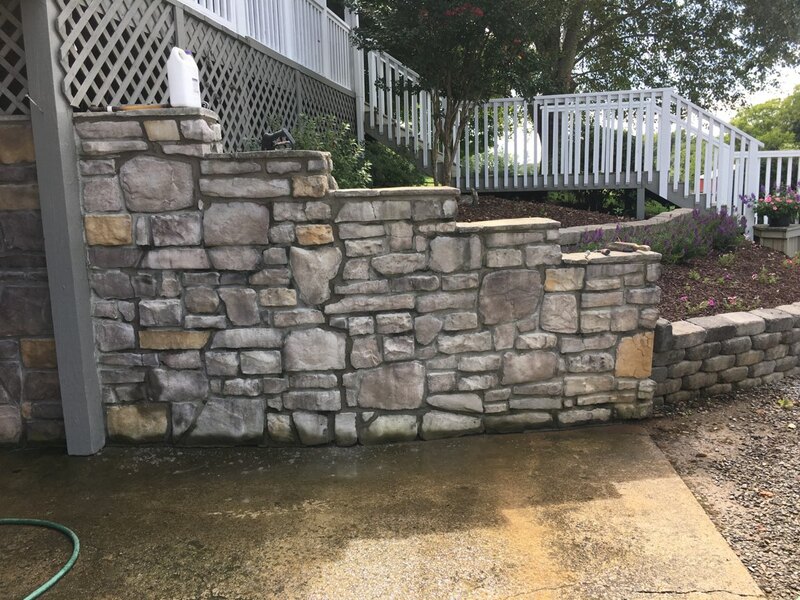 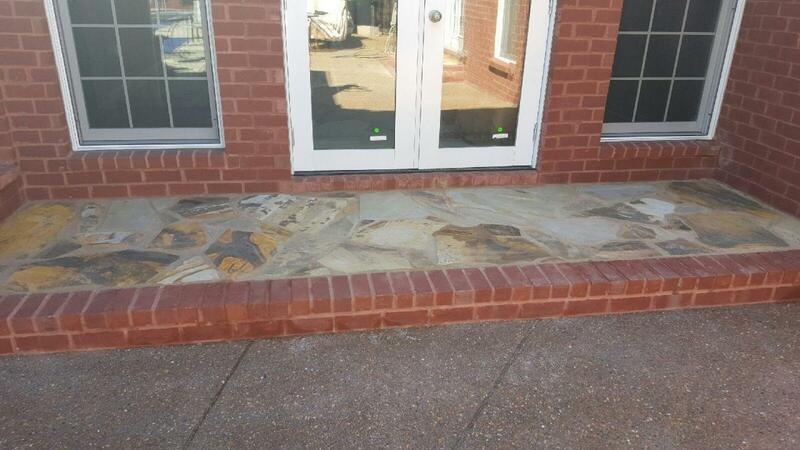 Our skilled masons were able to give the customer a beautiful rock landing pad with a brick surround. 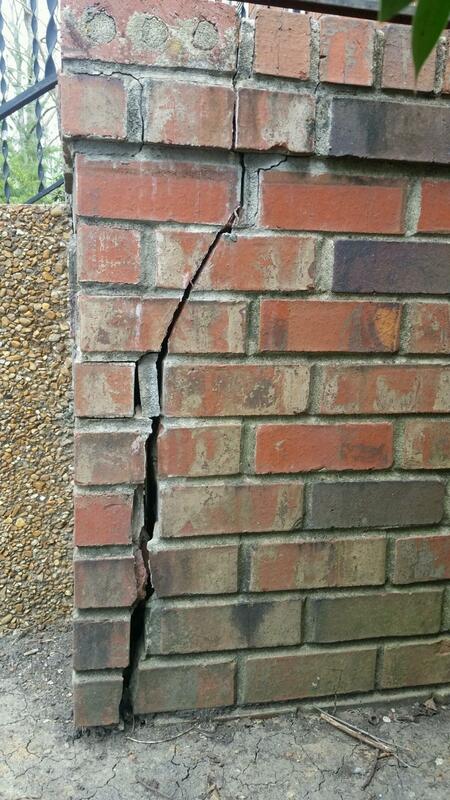 This customer had a masonry porch & stairs with severe cracks, loose brick and missing mortar joints. 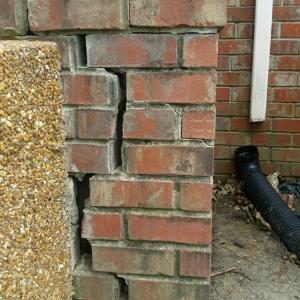 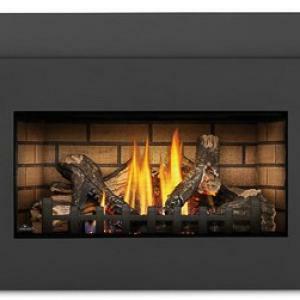 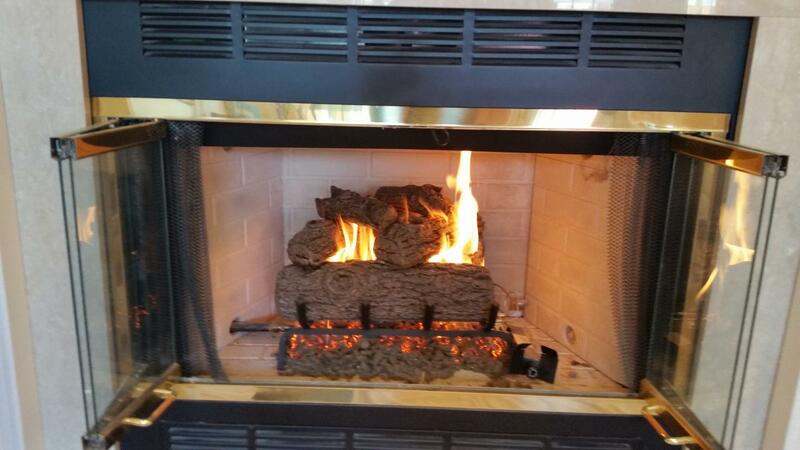 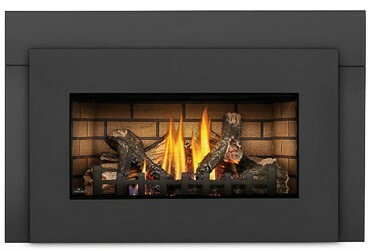 Due to the freeze & thaw cycle of winter, the deterioration had escalated causing extensive damage. 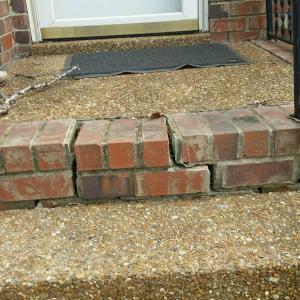 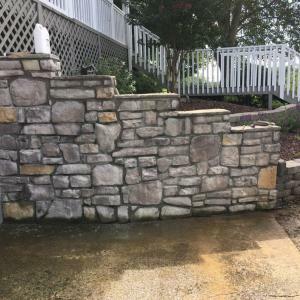 These pictures are of a customer's masonry porch that had started to crack and separate in various areas making the stair unsafe for the customer to use. 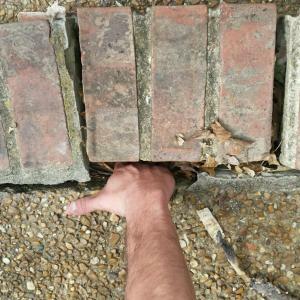 The mortar was completely missing in some areas causing the brick to separate. 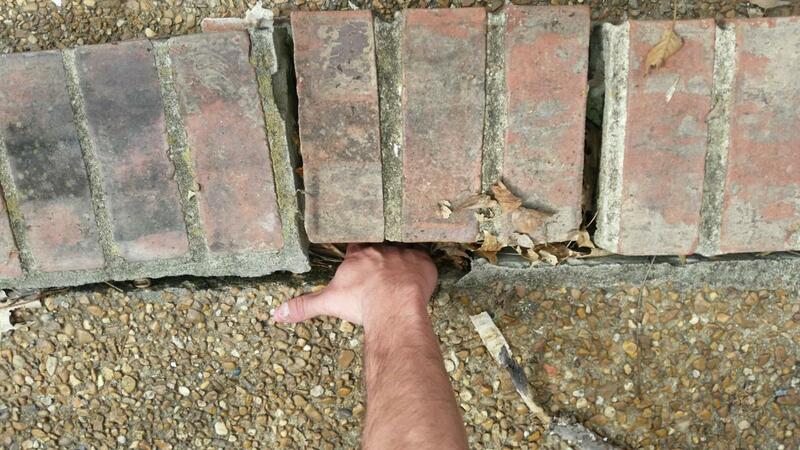 The brick has cracked and split all the way down the sides. 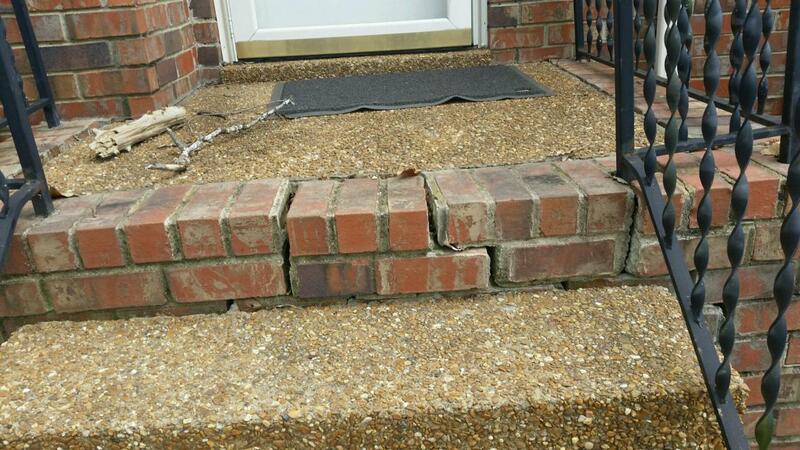 These picures are of the customer's masonry & brick porch prior to repairs. 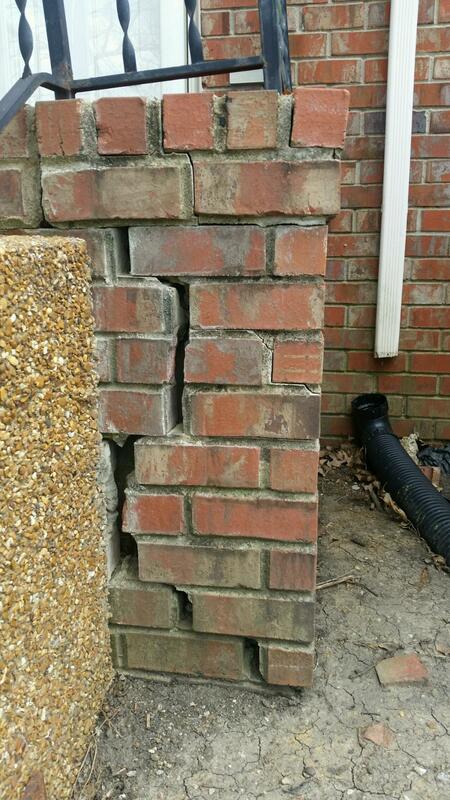 The cracks and loose bricks made the stairs unsafe for this customer to use. 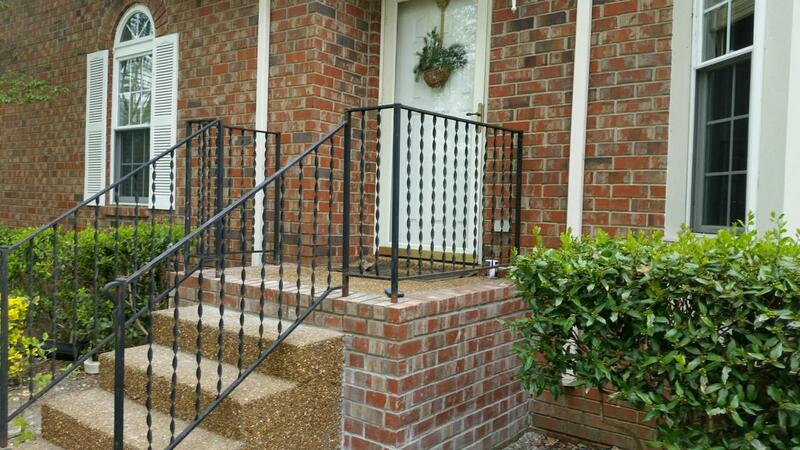 Masonry porch & stairs after repair. 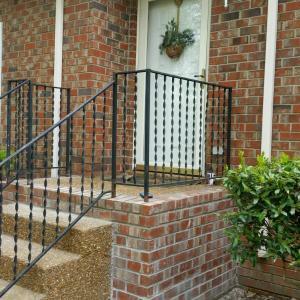 Masonry porch & stairs after repairs. 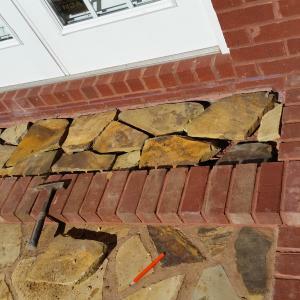 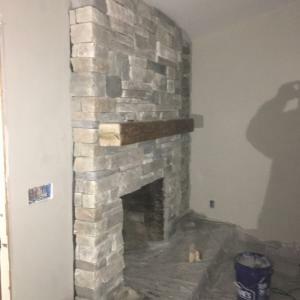 These pictures were taken after the masonry repairs. 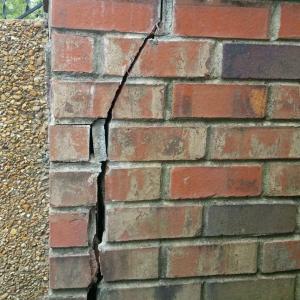 No more more cracks and loose bricks. 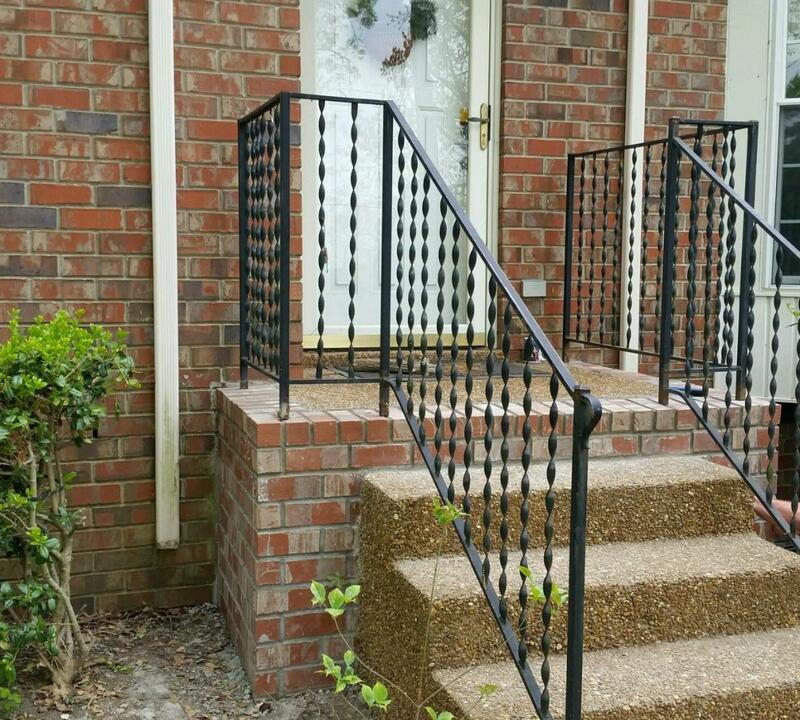 The customer can now use the porch & the stairs safely thanks to our masonry technicians. 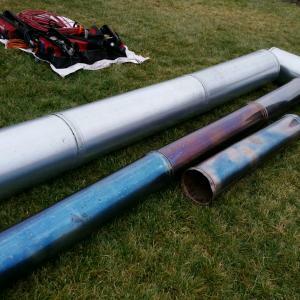 The discoloration of the pipe on the right is the result of a flue fire. 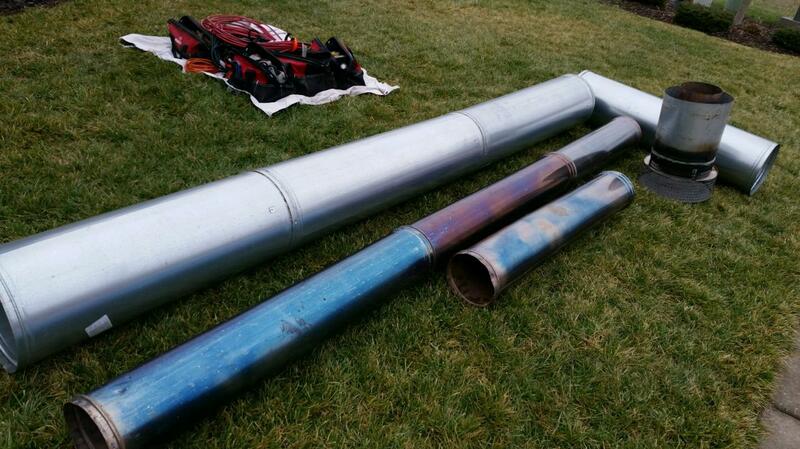 We sucessfully removed the old pipe system and replaced with new pipe. 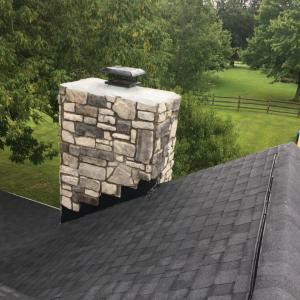 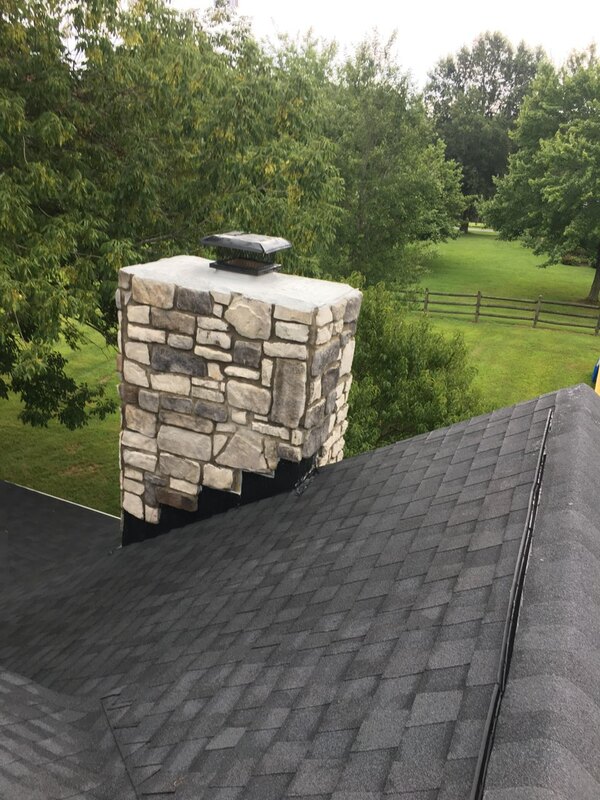 After the pipe replacement, we installed a new chase cover for the chimney and painted to match. 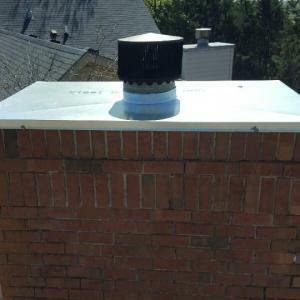 Complete removal of damaged chimney pipe from a flue fire with installation of new chimney pipe, chase cover, cap & paint match. 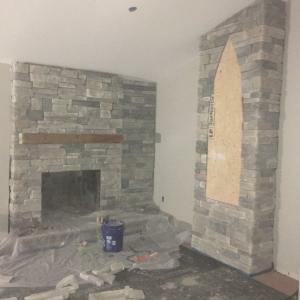 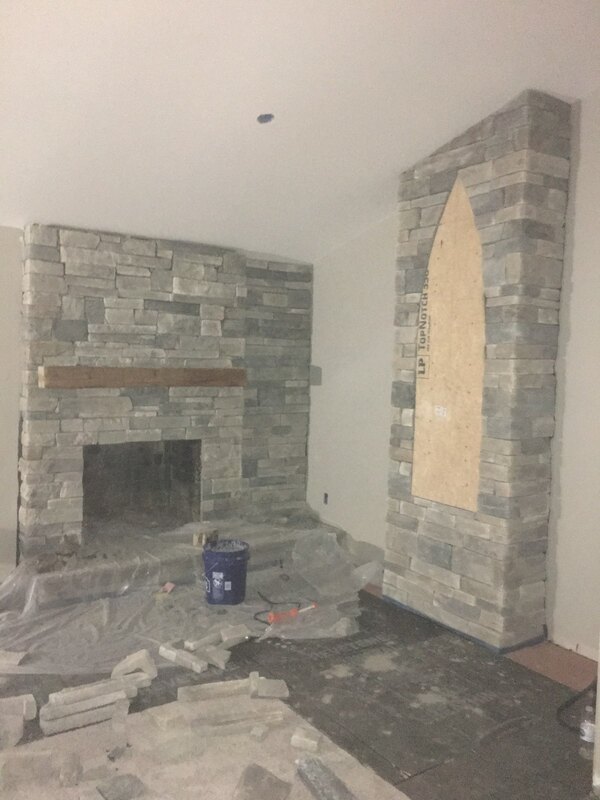 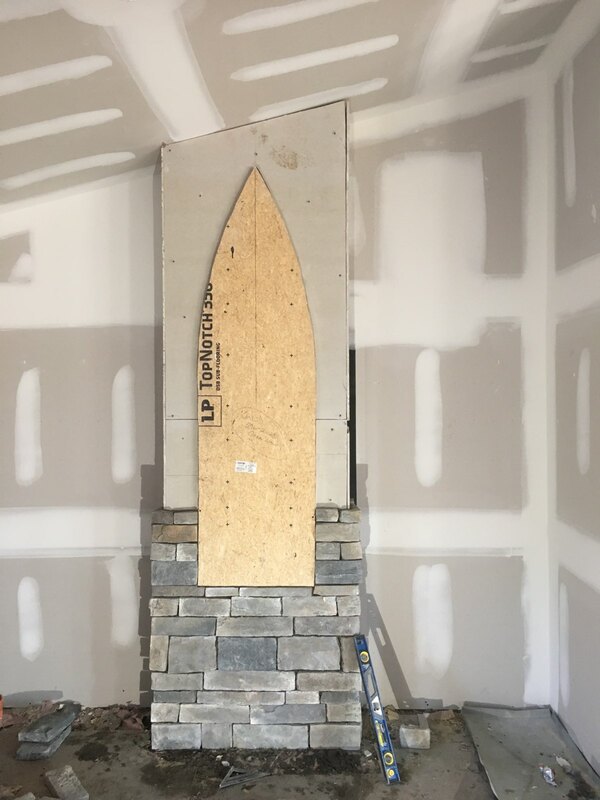 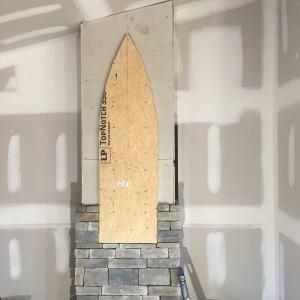 Custom stone fireplace with stained glass false window. 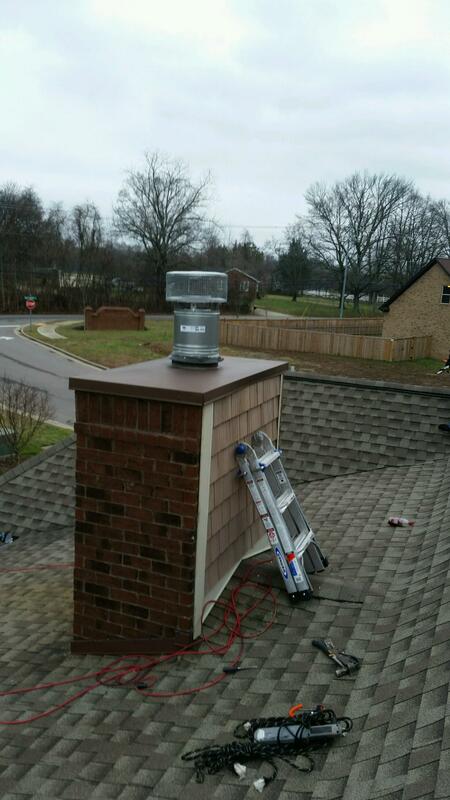 These images are actual jobs performed by NFC technicians at the customer's location. 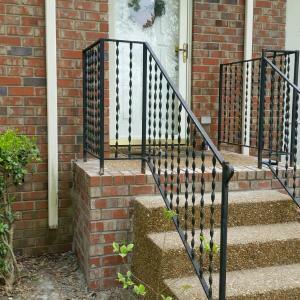 Images are subject to copyright & infringement laws in accordance to Tennessee law.